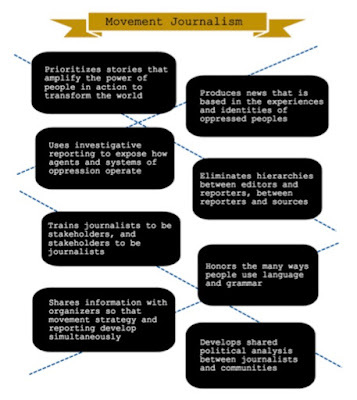 Making The News Canada: Is Movement Journalism an Answer for Social Justice & Change Groups? 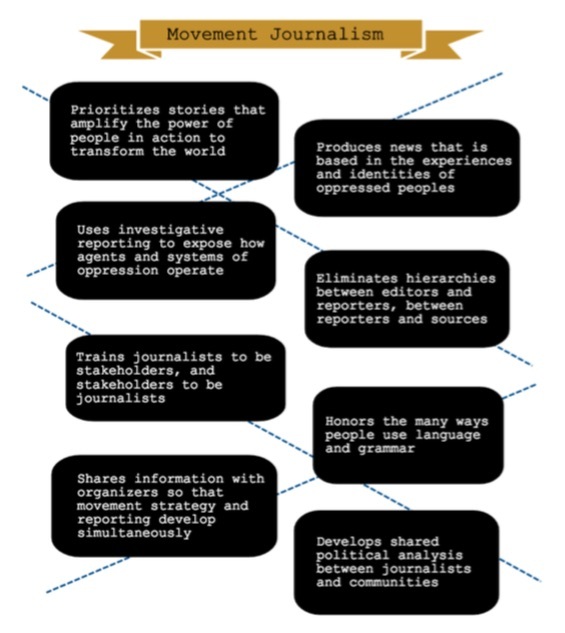 Is Movement Journalism an Answer for Social Justice & Change Groups? I was talking to someone who works with Indigenous people about the challenges facing that group in Canada today—how it seems that all we tend to hear about them is bad news, things like suicides, crime, family breakdown, community dysfunction, etc. Those aren’t the only stories, of course; there is lots of good news. But they can be hard to find in the media. It was similar, we agreed, to what it’s like in the international relief and development world. In that world, which I am most familiar with, there are lots of good stories in the developing world, but places like Africa only seem to make the news when there is disaster, starvation, war or corruption. One initiative being undertaken by Journalists for Human Rights is training Indigenous reporters so they can pursue careers in media, as well as training non-Indigenous journalists to do a better job of reporting on Indigenous people, culture and issues. That’s a good thing but opportunities for journalists of any kind in the mainstream media are limited—simply not enough money to hire more people or have more beats. At the same time, fewer and fewer Canadians turn to the mainstream media for their news. But maybe there’s another way: Movement Journalism. Earlier I wrote about Solutions Journalism, the kind of journalism where the media offer ideas for how to fix problems, not just report about them. Movement Journalism is the kind of journalism directed and operated by people who are experiencing the problems the media writes about, living with the issues every day. It seems to be a concept coined by Anna Simonton, an Atlanta-based freelance reporter and researcher for racial and economic justice nonprofit Project South. She came up with idea after doing a year-long research project in the U.S. south. Her report, called Out of Struggle, takes stock of the independent media landscape in the 13 states of the traditional south. Her goal is to provide support and training to social and racial justice organizations, many of them serving minority groups, so they can do a better job of telling their own stories and promoting their issues. Two media outlets she points to that are doing Movement Journalism are the Banyan Project in the U.S., and the Media Co-op in Canada. Is Movement Journalism an answer for groups and issues that aren’t getting enough attention in the media? Maybe. The challenge is not training people to tell stories—that can be done. People can be trained to spot a good story, do interviews, and write in news style. The main challenge is getting anyone at all to pay attention. In this media multi-verse, with so many online options, how can any group attract readers? Especially when research shows that people seem to be most interested in partisan political topics and stories with emotional triggers. Maybe that's not the point. Maybe the point will be for people in those groups to see their stories being told, to hear their own voices for a change, and to be empowered by the experience. If they also happen to catch the ear of those in power, or the general public who might lend a hand, that would be a bonus. Thinking back to my conversation about Indigenous people in Canada, all I can think is that It might be worth a try.